This article first appeared in the newsletter of Strategic Health Innovations. It is reproduced here with the author’s permission. Since the events of September 11, the world’s business and government sectors have been scurrying to find new ways of dealing with the threat of terrorism. From new Internet protocols designed to defend against hostile cyberspace intrusions to new radiation emitting devices intended to destroy the spores of anthrax or other pathogens hiding in the mail, the role of innovation in science-based industry has never been more preponderant and relevant to the lives of the average citizen. Of the popular commercial sciences, biotechnology promises to play a particularly important role in the evolving defenses against terrorism, specifically bioterrorism. Since the biological sciences were employed to create some of the more daunting of terror tools, such as engineered viruses and bacteria, it is appropriate that the maturing biotech commercial sector be called upon to lead the fight against uncivilized uses of its techniques and technologies. Indeed, “anti-bioterrorism” is emerging as a lucrative new playfield for biotech workers. The current media darling of bioterrorist agents is, of course, the anthrax bacterium. Usually a disease of the wild whose low natural prevalence is restricted to wilderness workers and explorers, anthrax has proven to be a preferred bioterrorist weapon for its relative ease of both production and delivery, and for its weaponized history which dates back to WWII Japan. Fortunately, the strains of anthrax employed in the current attacks can be treated with existing antibiotics, most notably Bayer’s newsworthy Cipro. But antibiotic treatment confers only an 80% cure rate, with almost all of the successful cases those for which both diagnosis and drug provision were early in the disease’s progression, usually before symptoms could arise. Instead of relying on antibiotics, a better approach is vaccination against this disease and against other pathogens which might prove to be attractive terror agents. However, the present commercially available anthrax vaccine in North America, produced solely by the American company Bioport, is relatively expensive and its distribution restricted to armed forces personnel. Filtrated from two different bacterium strains and composed chiefly of the primary disease antigen, it confers a threat of both minor and major side effects. Moreover, its manufacturing process is considered to be an inefficient one resulting in a low yield of doses. Hence the large-scale vaccination of whole populations remains an unworkable ideal in the present technological climate. Enter the biotechnology efforts of Panacea Biotec Ltd, an Indian biotech firm whose efforts were supported by the Indian government and Jawaharlal Nehru University. Their new anthrax vaccine, announced in the wake of the September 11 attacks, is based upon the recombinant DNA engineering of e. coli bacteria, rather than of the anthrax organism itself. According to its developers, just 5 grams of their antigen can produce millions of doses of the vaccine, a figure which is among the highest yields reported for this process anywhere in the world. Not surprisingly, Panacea’s share price surged after its announcement. But it mus be pointed out that the market for vaccines is almost impossible to gauge, as it is based in large part upon public fear –an intangible which varies with a host of political, social and historical forces. As it progresses to human trials, Panaceas product is so far a success story. The vaccine has been 6 years in the making. It was sheer luck that the product’s completion coincides with the present wave of anthrax terror attacks. Investments are being made now, however, to assist biotechnology companies in creating products that can defend against bioterror attacks of the future. This year the USA’s Defense, Energy and Health & Human Services Departments budgeted $1.2 billion for bioterror defence. President Bush has promised an additional $1.5 billion toward the effort. A comprehensive national strategy has yet to be voiced, but certain themes relevant to the biotech sector are emerging. Prevailing thought is that a robust bioterror defense will require a cocktail of treatments for any given pathogen. This is in recognition of the relative simplicity of genetically modifying a pathogen to be resistant to its traditional treatment or drug. It is considerably more difficult to engineer germs which are resistant to a host of differing countermeasures. Hence there exists a market for treatments, prophylactics, detectors, vaccines and attenuators of all varieties for every conceivable weaponizable bio-agent. In addition, epidemiological approaches to bio-agent outbreaks are fundamentally unlike those to natural infectious disease outbreaks. Natural diseases follow somewhat predictable patterns, and warning signs of impending epidemics are often observed and tracked in other parts of the world in advance of a local outbreak. 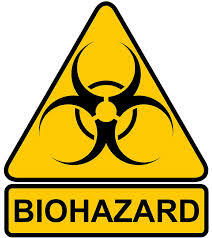 In the bioterror era, public health officials must be prepared for any and all possible pathogens at all times. In this scenario, the existing treatment and prophylactic options for a given disease are woefully insufficient. Therefore defenses need to be broad-based and less specifically targeted to a given pathogen, or more rapidly mobilized and industrialized in response to new outbreaks. A universal vaccine or treatment is, of course, the Holy Grail of anti-bioterrorism. New advances in biotechnology are proving to be particularly promising in this regard. Vaccines based upon “master switch” genes may prove most effective for scientists’ ability to rapidly deduce formulations. By engineering a pathogenic organism whose very virulence has been removed, the new attenuated organism is a ready vaccine with high potency, high specificity and trivial risk. Such a process, pursued by companies like Remedyne Corp, a start-up from the University of California, represents a strategy for rapidly mobilizing a public health response to an outbreak of any one of a number of qualifying diseases. Remedyne predicts the development of an inexpensive oral vaccine in 2-3 years which would offer full protection against a number of bioterror agents, including anthrax and bubonic plague. The role of biotechnology in the war against terrorism is not limited to vaccines or health treatments. Increasingly, security systems must rely upon more sensitive and ubiquitous devices for detecting a host of substances, from explosives and chemicals to bio-agents and genetic material. The emerging sciences of biosensing and nanotechnology promise to expand security capabilities by providing smaller, cheaper and more powerful computing and sensing devices. Recently, Israeli scientists at the Weizmann Institute announced the construction of a DNA computer so tiny that a trillion of them could fit into a test tube. Biologically-based computers can possibly be used to read and clone DNA at very rapid speeds, allowing detection devices to precisely identify agents and instantaneously conceive countermeasures. The immediate legacy of September 11 is economic deceleration and overall consumer fear and hesitancy. The American market remains enormous, however, and is growing in certain key sectors, defense and security among them. Biotechnology industries, long seeking a stable purchase in multiple levels of the general market, may have found an important and lucrative niche in anti-bioterrorism. From the formulation of new and better vaccines and disease treatments, to the engineering of crops which might be resistant to hostilities, and to the development of minute and efficient sensing devices, biotechnology may yet be the civilized worlds best protection against forces which seek to push us toward chaos. Dr. Raywat Deonandan is an epidemiologist working in the Washington DC area, and an associate of the biotech consulting firm, Strategic Health Innovations.